A lot of us struggle from paycheck to paycheck, and often find ourselves fantasizing about all the different things we could do if we won big on the lotto. However, as the old saying goes, “be careful what you wish for”. There have been countless instances of people who scooped the jackpot going on to say that it ruined their lives. Why? Because no one sees you in the same way now that you’re super rich, and it’s more than likely that every passing acquaintance you’ve ever met, and every distant family member you’ve never heard of, will come out of the woodwork with their hand out. 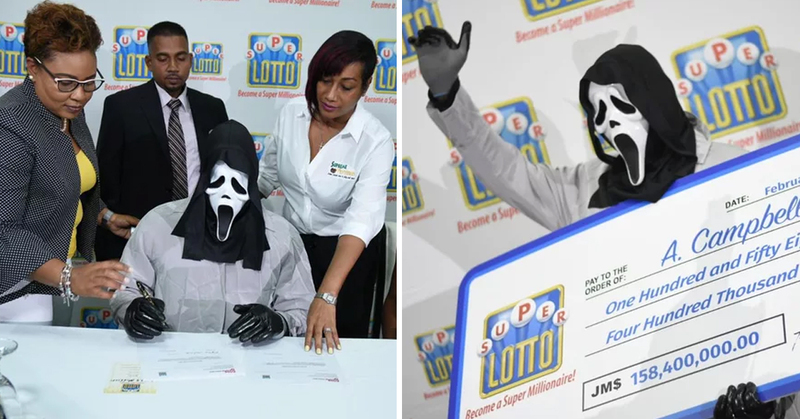 Well, one Jamaican man had a novel idea on how to eliminate these stresses from his big lottery win, as he turned up to claim his $1 million prize wearing a full-face mask from the horror movie Scream. 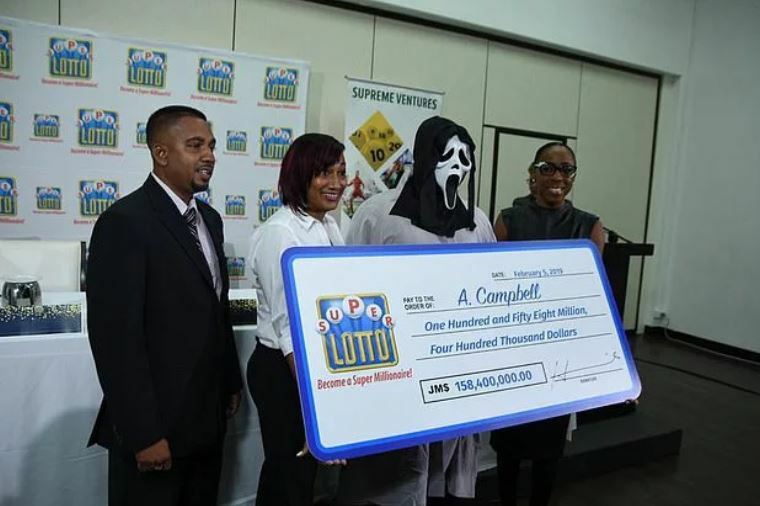 The man, who identified himself only as A. Campbell, won the equivalent of 1.15 million US dollars, and decided to collect his prize incognito so that he wouldn’t have to share the money with cash-hungry relatives. You could say he’s being greedy, but Jamaica is a pretty small island, with a population of only about 3 million. They wouldn’t have far to go to knock on his door! The news was a double-edged sword to Campbell, who struggled with the reality of what had happened. 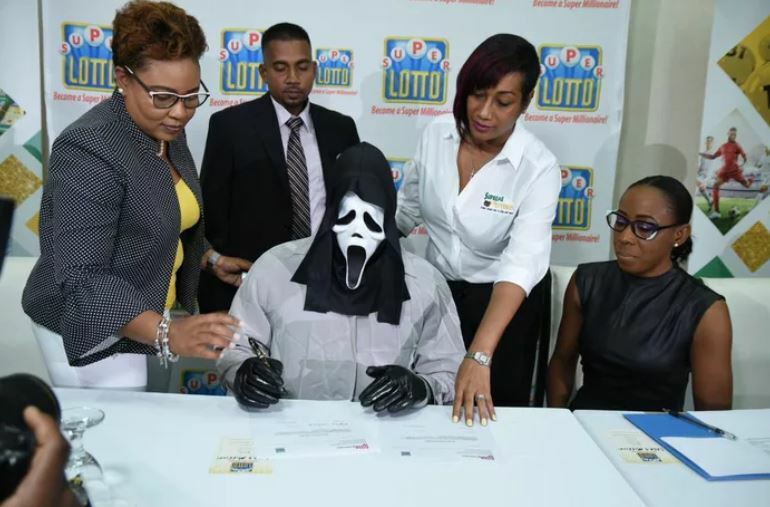 According to St. Lucia’s The Loop, it took Campbell 54 days to claim his prize after falling ill due to the stressful factors of winning such a large amount of money. “My head hurt me for three days because I was thinking so much. [Wondering] if what I’ve been longing for really come true. I had a belly ache for two weeks, sometimes I feel so much pain I forgot that I had won,” Campbell said. It’s fascinating to hear this insight into the negative aspects of such seemingly good news. 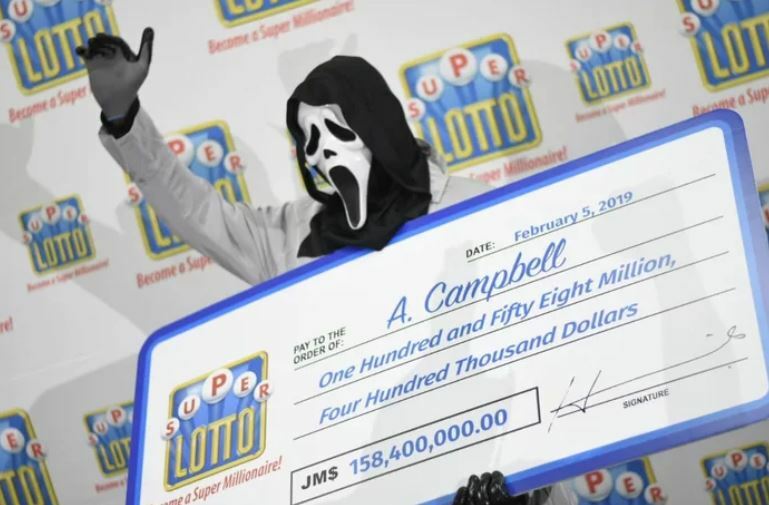 Campbell described his life as a struggle, but said this will change with the winnings, with his first goal being to acquire a home. It sounds like he is being quite level-headed about what to do with the money, even if his photo from the publicity shoot would suggest otherwise!